The National Security Advisor, Brigadier-General Joseph Nunoo-Mensah, has revealed that the late President John Evans Atta Mills had wanted to relinquish power prematurely because of the constant vilification directed at his person, but he (Nunoo-Mensah) prevailed on him to shelve the idea. The former senior military officer also disclosed that former First Lady, Mrs Ernestina Naadu Mills, had desired that her husband steps down because of his ill-health and to also have his peace of mind. “He (Mills) told me General, my wife has advised me to step down, but I (General Nunoo- Mensah) told him that God is in control and has put him there…so he can’t leave and abandon his people,” Nunoo-Mensah said. The twice Chief of Defence Staff of the Ghana Armed Forces said he was privy to some of these vital information because of the very good rapport that existed between him and the late president. “Sometimes he calls me and I go to him, we spoke in Fante…for a long time we talked together and I gave him great respect as my president and he in return respected me as being a little bit older than him. We talked a lot about life and things that were personal to him and funny enough we shared the same views. When I look at my background and his background, we have so many things in common…we used to share ideas and I liked to encourage him…Sometimes he calls me general…I haven’t done anything but they keep heaping insults on me and abusing me. Then I tell him, Mr. President, I want to urge you to read the book of Job. They tore Job into pieces but he didn’t abandon God…so have faith in God and stay strong,” were some of the words Brigadier-General Joseph Nunoo-Mensah said he used to spur the late president on. The National Security Advisor was speaking in an interview with Radio Gold a few days after the death of Prof Mills. 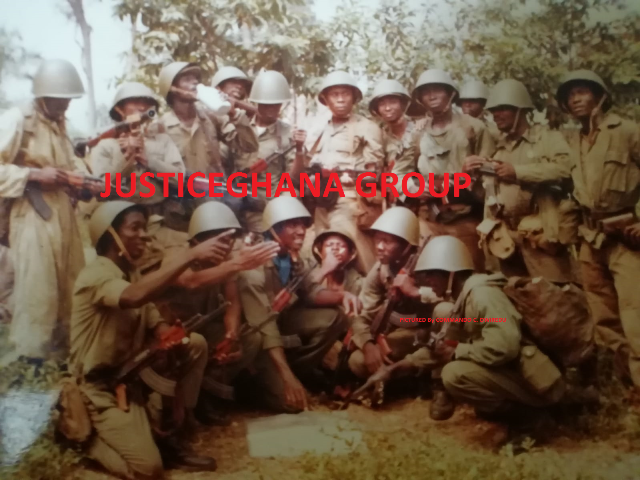 Brig-Gen Nunoo-Mensah also revealed that the late president grew increasingly worried about the scathing verbal attacks directed at him so much so that in a bid to comfort him, he (Nunoo-Mensah) was compelled to cite Jesus Christ as a perfect example of someone who was denigrated for no wrong done. According to him, the vituperative really got to the president because he (Mills) believed he was doing his best for his motherland. “He shows strength in public but privately, the insults got to him,” the National Security Advisor said.